Send Carole James an email. 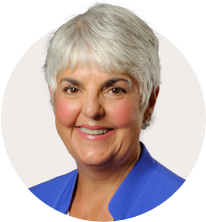 Carole James was elected MLA for Victoria-Beacon Hill in 2005 and re-elected in 2009, 2013, and 2017. Carole is honoured to serve the people of the community she grew up in, raised her children in, and continues to live in. She is the Minister of Finance and Deputy Premier. Carole served as the Official Opposition spokesperson for Finance and as Opposition critic for Children and Family Development. A community leader for over 25 years, Carole served as president of the B.C. School Trustees Association for an unprecedented five terms, commencing in 1995. She was elected to the Greater Victoria School Board from 1990 to 2001. She has also served at the national level as the vice-president of the Canadian School Boards Association. Her experience and dedication to communities is reflected in a number of appointments to provincial initiatives, including the Independent B.C. Budget Review Panel, the Public Education Restructuring Consultation, and the Ministry of Children and Families Secure Care Committee. 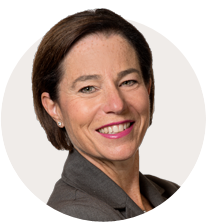 In addition to serving a two-year term as the director of Child Care Policy for the Government of British Columbia, she has served on the Greater Victoria Region Social Planning Council, the City of Victoria Parks and Recreation Committee, and the Task Force on Violence Prevention. In recognition of her work in the area of co-operative pre-schools, she was named an Honourary Life Member of the Vancouver Island Co-operative Pre-School Association. In 2001, Carole moved to Prince George to serve as the director of Child and Family Services for Carrier Sekani Family Services. As part of her management responsibilities, she coordinated the planning for regionalization of child and family services from the Ministry of Children and Families to an Aboriginal Authority. In July 2003, just prior to becoming leader of the B.C. New Democrats, she became coordinator with the Northern Aboriginal Authority for Families. In November of 2003 Carole was elected leader of the B.C. New Democrats, and served as leader of the Opposition in the B.C. legislature from May 2005 to December 2010. Carole is married to Albert Gerow, a First Nations artist and elected Chief of the Burns Lake First Nation. She’s the mother of two children, Alison and Evan, and a proud grandparent to Hayden and Charlie. She was a foster parent for over 20 years, giving care to children and adults with special needs.